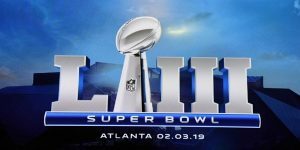 Mount Messenger » Super Bowl 53: Super Bowl or Super Boring? The biggest game of the football season was just weeks away. Super Bowl LIII was nearing, and everyone was ecstatic to see what the final outcome would be. Undoubtedly, had you asked around for the team that people were rooting for, most would have said that their money was on the underdog, the Los Angeles Rams. Once again, the New England Patriots made into another Super Bowl, and many were hoping for a change in the tides so that they wouldn’t claim victory for the sixth time. Enter the Los Angeles Rams, who hadn’t been to the Super Bowl since 2002. More importantly, in their last appearance, the Rams lost to none other than the Patriots. That being said, the Rams were considered an immediate favorite among viewers, and the majority were on the edge of their seats, ready for an epic battle. Nevertheless, what was expected to be redemption for the Rams turned out to be one of the lowest scoring, uneventful games in Super Bowl history. As a fan of the sport, watching the game was difficult. The game started out with so much hype and anticipation. During the first half, though the board remained scoreless, at least both teams seemed to be making adequate drives down the field. Most fans would credit this to the defense on both teams. The Rams’ defense kept Patriots’ quarterback, Tom Brady, contained while the Patriots’ defense resorted the Rams’ quarterback, Jared Goff, to scrambling and throwing poorly. In the second half of the game, both teams continued to keep each other on edge with their defense efforts. The first score of the game came later in the second half with a field goal by the Patriots. The Rams did not score, and the second quarter ended on that unlucky note. The Pepsi Halftime show was also an extremely underwhelming experience this year. Maroon 5, Travis Scott and Big Boi – all of whom are well-acclaimed artists – were the headliners of the show, but it quickly became apparent that they were not fated to share the stage. The musical composition and acts seemed to be tossed together with no flow. Moreover, thanks to a petition on Charge.org in which more than 1.2 million participants signed, people were waiting eagerly for the beloved song, “Sweet Victory,” from the popular cartoon, “SpongeBob SquarePants,” to be played in full. To their dismay, it was, in fact, just a tease. The quirky yellow sponge appeared on the screen for no more than 13 seconds. After the show ended, it was back to the game. Entering the third quarter, the game remained mostly scoreless. The Rams were able to tie it up with a field goal attempt, and the game sat at 3-3 for the remainder of the quarter. In the fourth and final quarter, both teams were scavenging for a way to get ahead of each other. Sometime in the middle of the play, the game took a drastic turn that inevitably sealed the deal for the Patriots. A touchdown from the Patriots launched the score to 10-3. And then, only a few minutes later, the game ended at 13-3 with a last minute field goal, and thus the New England Patriots secured the title for the sixth time within two decades. When all’s said and done, Super Bowl LIII was not the game everyone so craved. The Patriots were crowned champions, and now, all the other 31 teams in the league will be working free agency in the offseason, looking for their chance at the title next year. Football is officially over. It’s onto the next season.